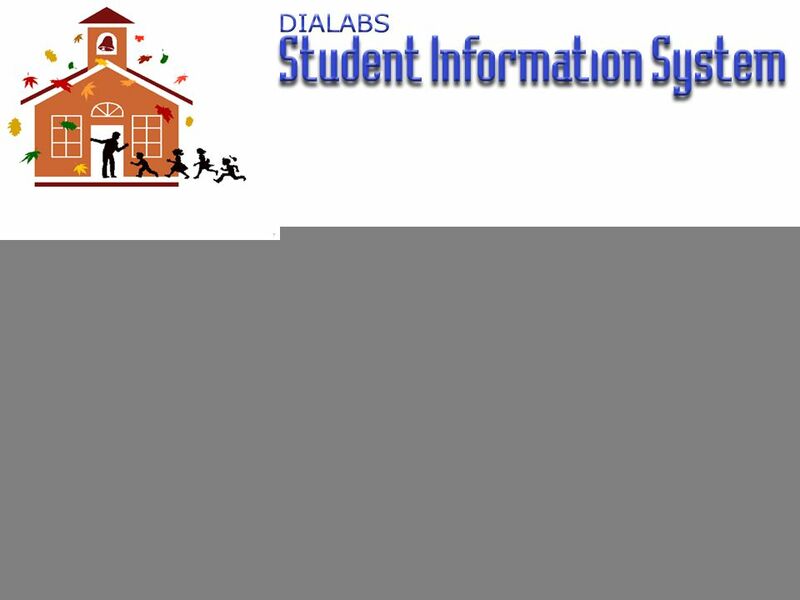 www.Dialabs.com Student Information System is an efficient, effective & time saving tool for school/college administration and for the dispersal & retrieval. 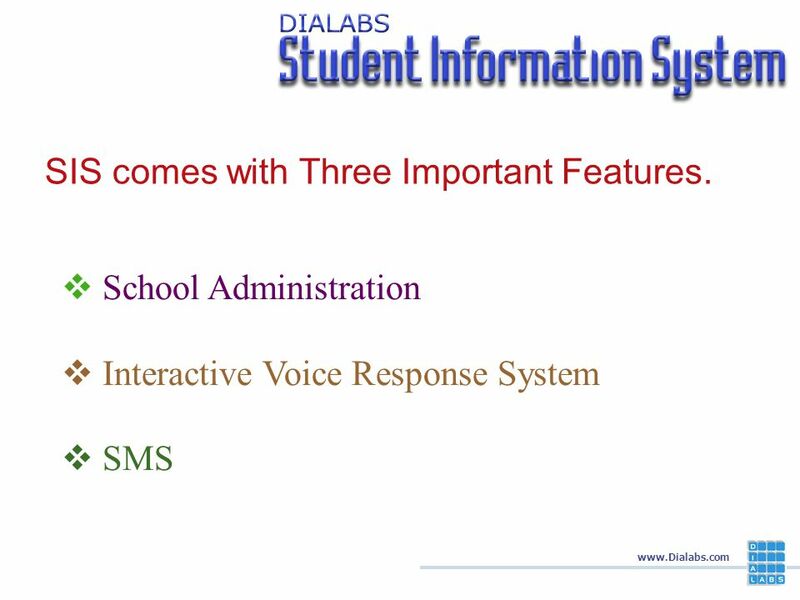 2 www.Dialabs.com Student Information System is an efficient, effective & time saving tool for school/college administration and for the dispersal & retrieval of information over telephone(IVRS). 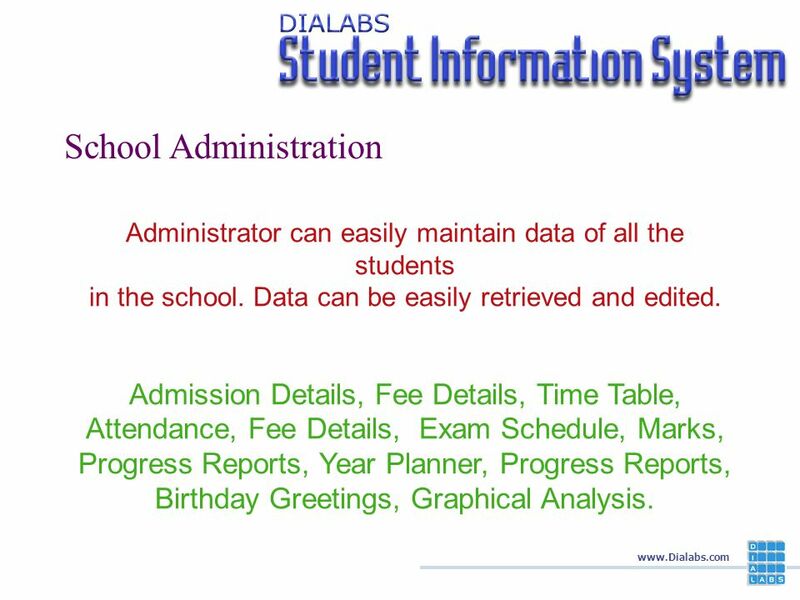 4 www.Dialabs.com School Administration Administrator can easily maintain data of all the students in the school. Data can be easily retrieved and edited. Admission Details, Fee Details, Time Table, Attendance, Fee Details, Exam Schedule, Marks, Progress Reports, Year Planner, Progress Reports, Birthday Greetings, Graphical Analysis. 5 www.Dialabs.com Interactive Voice Response System Parent / Students can retrieve information from SIS system. 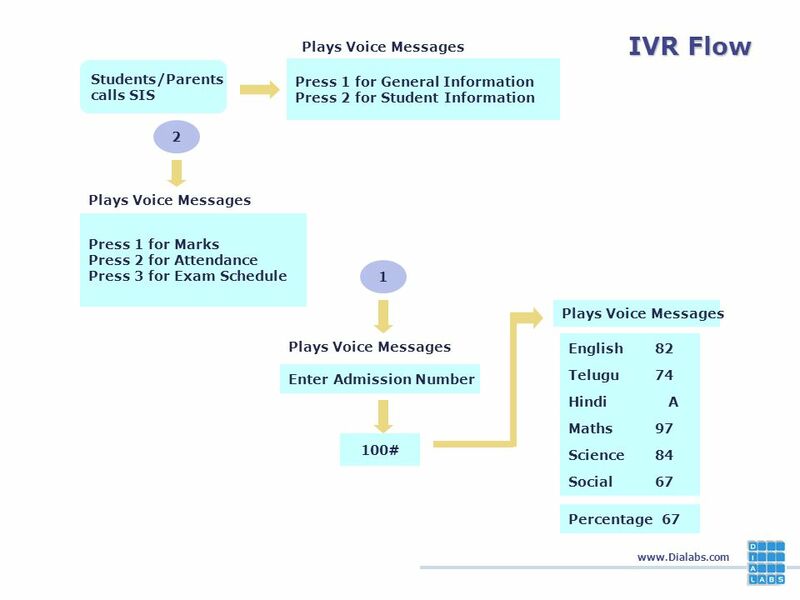 Educational Institutions Can send Messages to the students and parents. 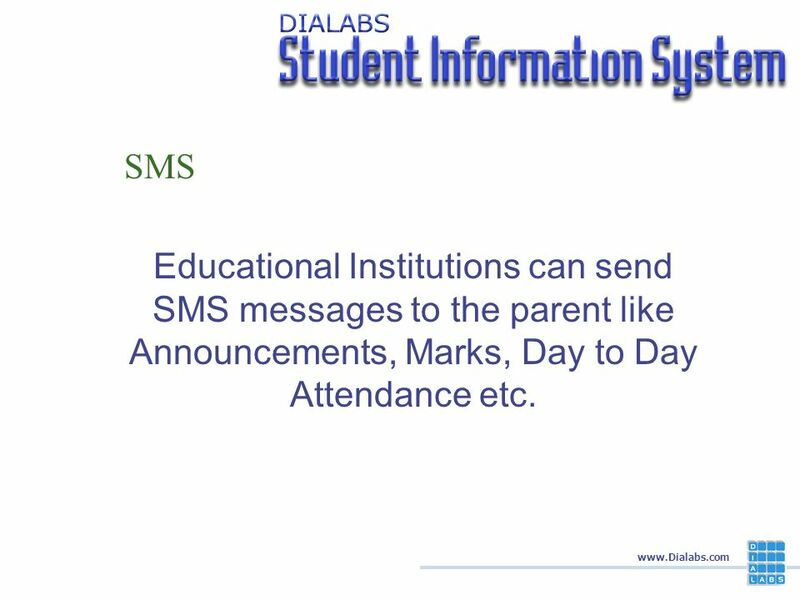 6 www.Dialabs.com SMS Educational Institutions can send SMS messages to the parent like Announcements, Marks, Day to Day Attendance etc. 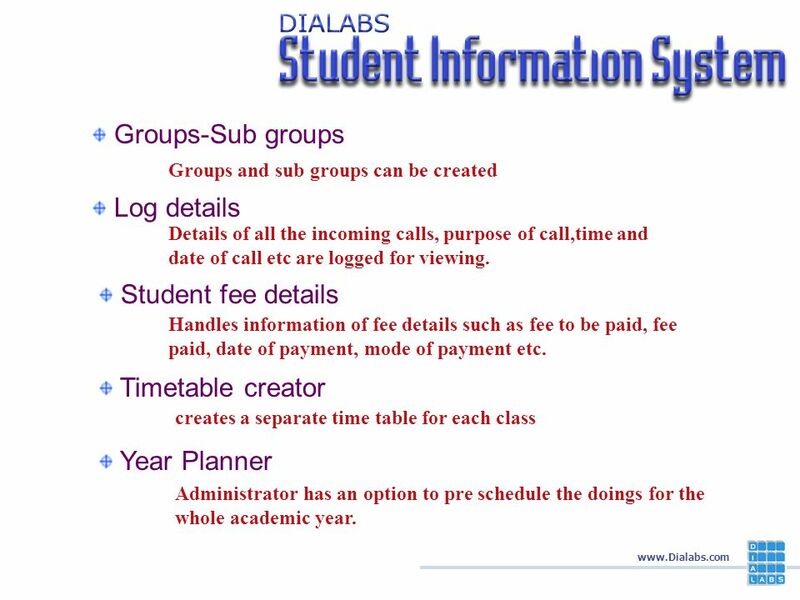 8 www.Dialabs.com Student fee details Handles information of fee details such as fee to be paid, fee paid, date of payment, mode of payment etc. 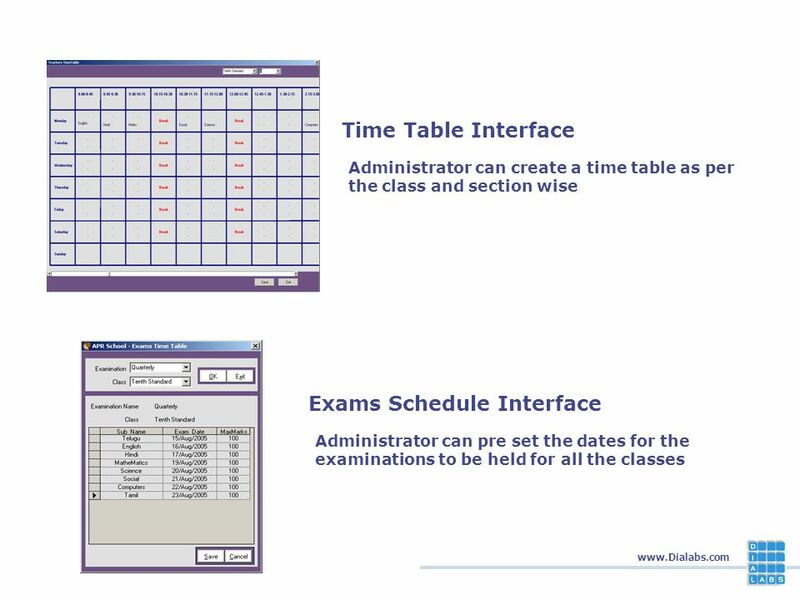 Timetable creator creates a separate time table for each class Year Planner Administrator has an option to pre schedule the doings for the whole academic year. 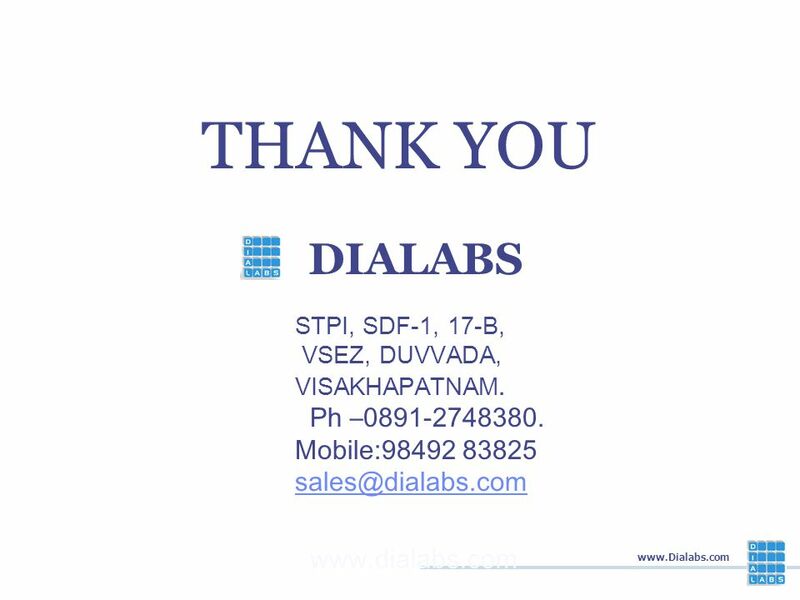 Groups and sub groups can be created Groups-Sub groups Log details Details of all the incoming calls, purpose of call,time and date of call etc are logged for viewing. 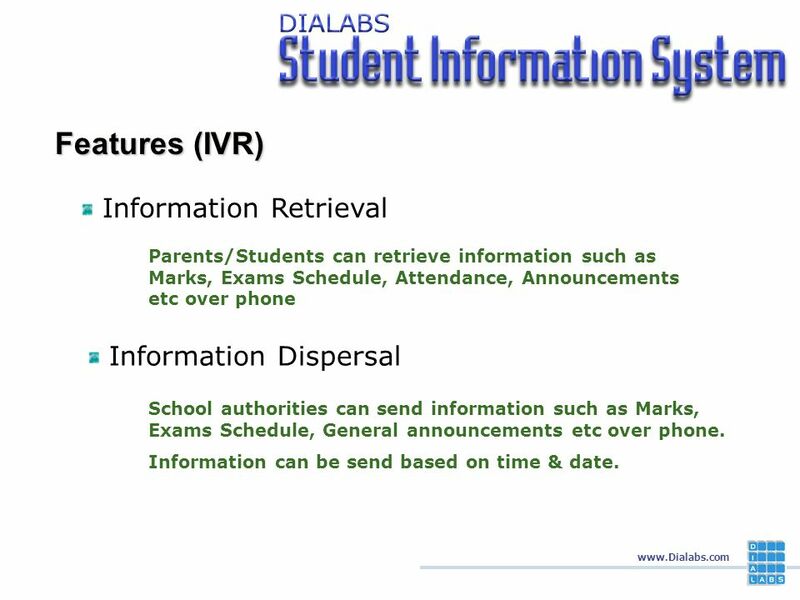 9 www.Dialabs.com Features (IVR) Information Retrieval Information Dispersal Parents/Students can retrieve information such as Marks, Exams Schedule, Attendance, Announcements etc over phone School authorities can send information such as Marks, Exams Schedule, General announcements etc over phone. Information can be send based on time & date. 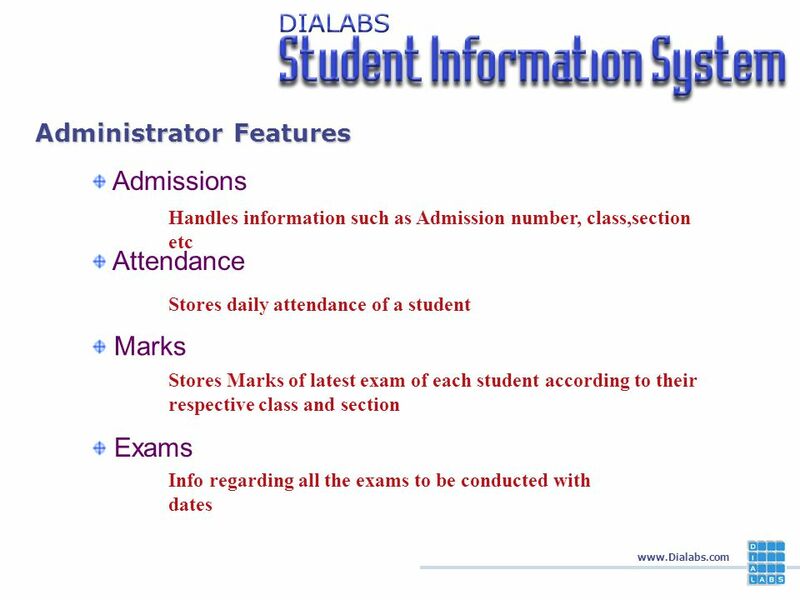 15 www.Dialabs.com Administrator can save marks secured by the students as per the class wise,section wise and subject wise. 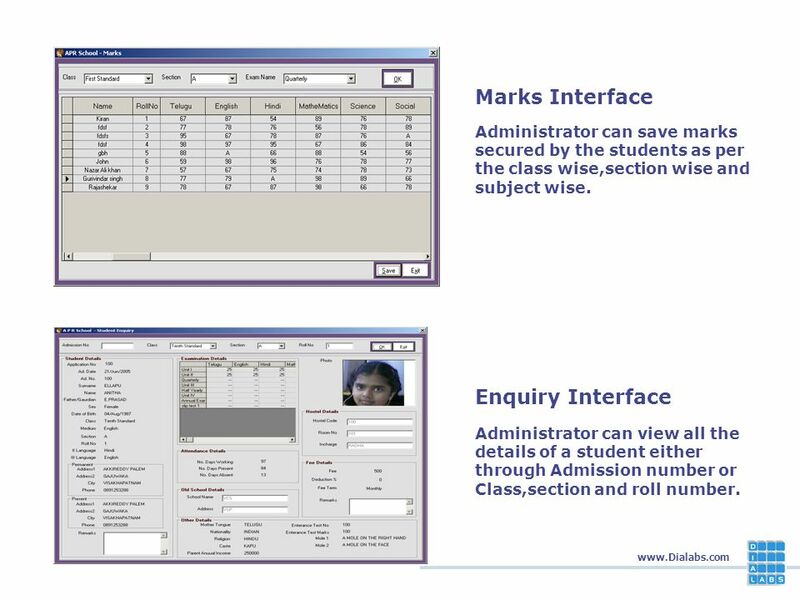 Marks Interface Enquiry Interface Administrator can view all the details of a student either through Admission number or Class,section and roll number. 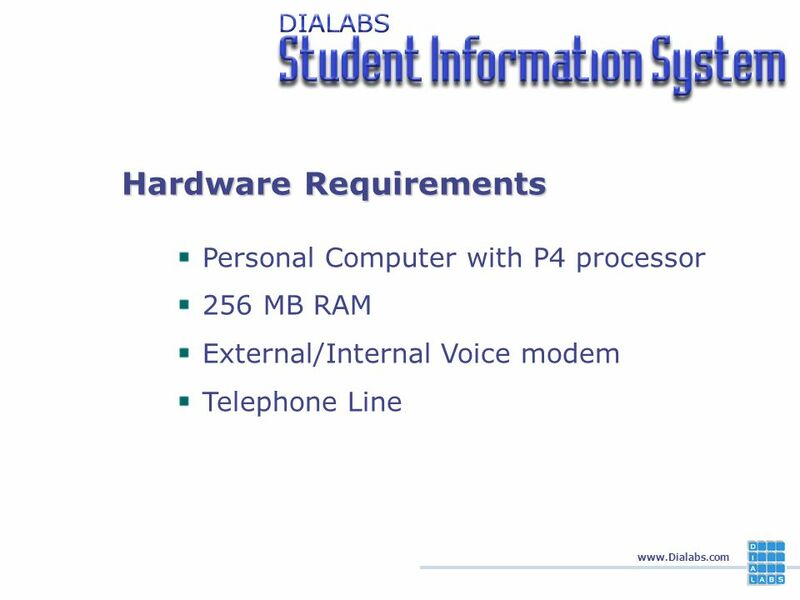 Download ppt "www.Dialabs.com Student Information System is an efficient, effective & time saving tool for school/college administration and for the dispersal & retrieval." 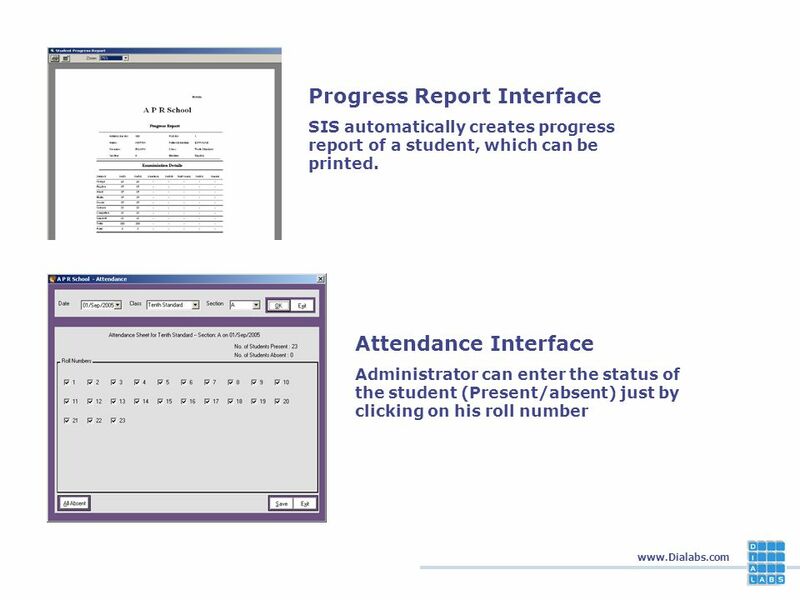 Using the ATTENDANCE MODULE of the SMS. 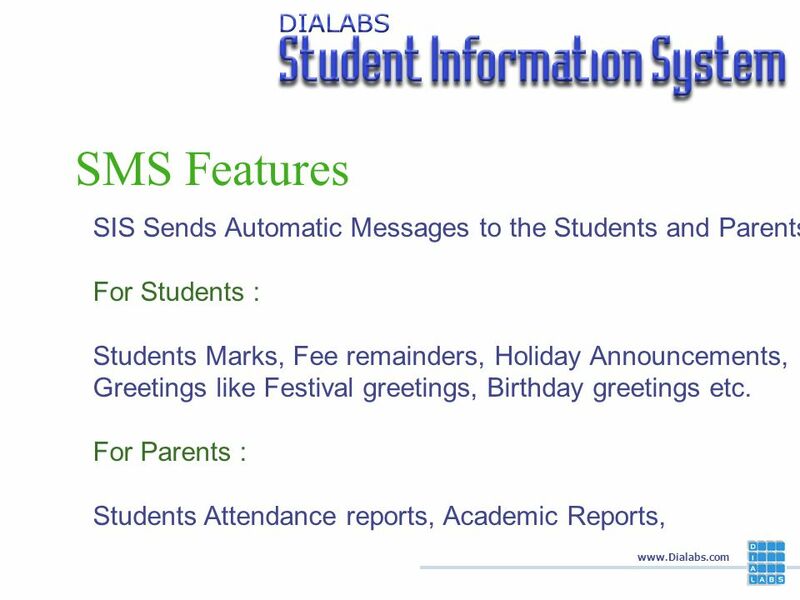 How to Enter the Students Attendance in SMS. 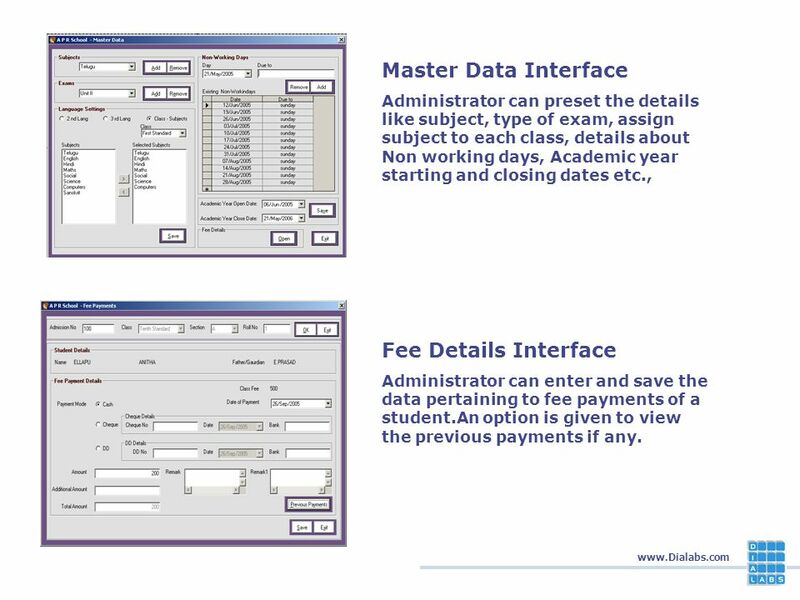 Academic Institutional Management System. Developed by ACG Global, Inc., Houston, Texas. Developed by ACG Global, Inc., Houston, Texas. Exclusive Distributor. All rights reserved © Suriya Systems Private Limited SMART APPS School Management Software. 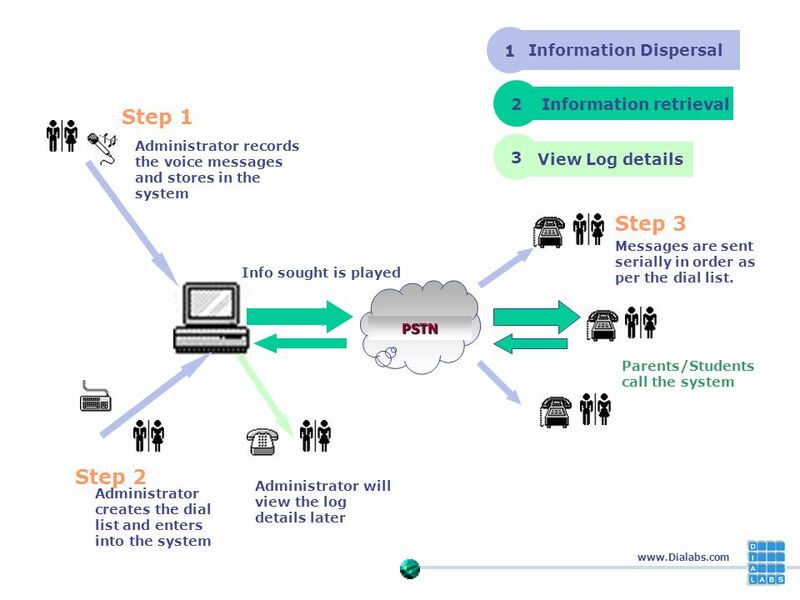 The Complete Administration System for the Domiciliary Care Provider. 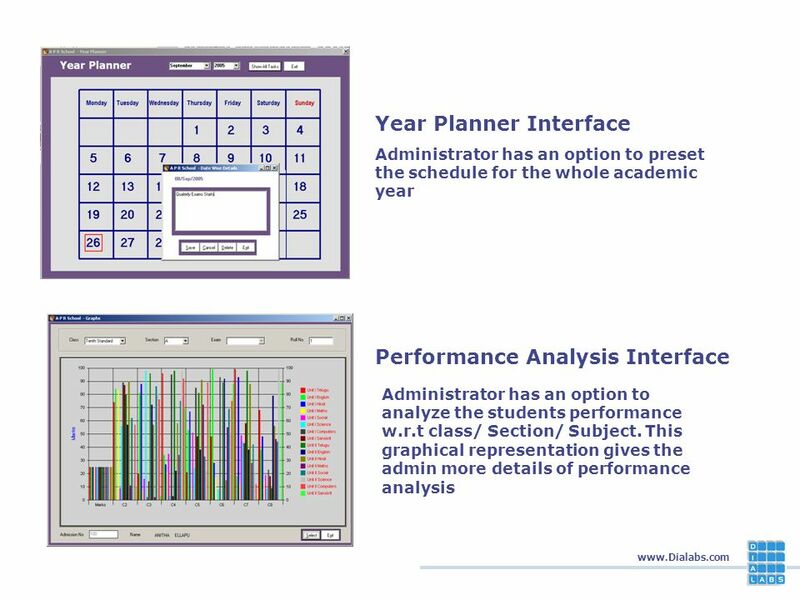 Holiday Calendar Menu for navigation This is School Management System’s home screen. This application will automate School or College. It contains a Menu. User Training. Step 1 Press Ctrl-I or choose File > Login, this will open the Login window. Figure 1-1 shows the Login window. Figure 1-1 Login Window. FREE: Please down load School software from our website Pearlsoftech.com Back slideNext slide. About Orange Payroll & HRMS Our Payroll,Your process, Everyone wins Orange Payroll & HRMS Software the simple and effective online system that provides. 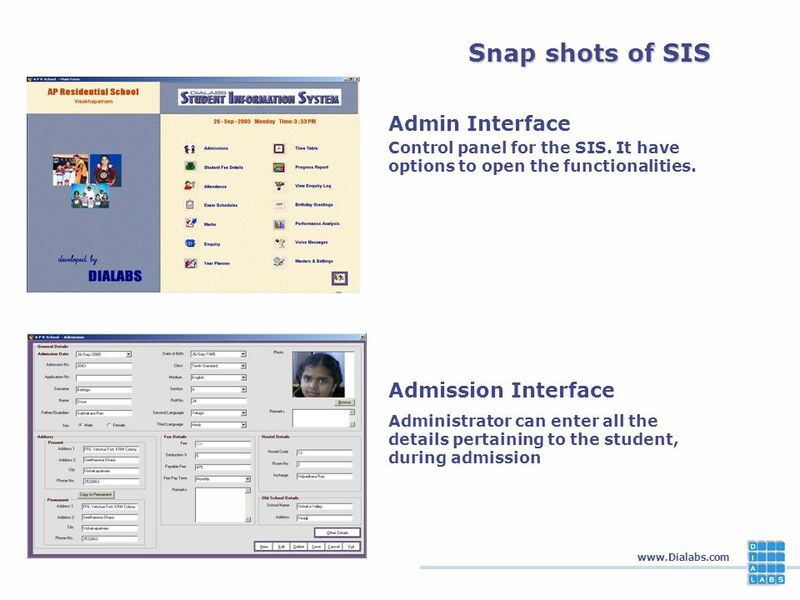 Under the Guidance of: Mr S.Karthikeyan.MCA..  The project is entitled as “ SMS Based Student Information System” created by using Visual Basic.  Flexible.